Strong-willed and stubborn, Kathryn Nugle enters a man’s profession, untested, inexperienced, and determined to solve a decade-old puzzle. Intuition flagged her client’s deception but didn’t solve the mystery of his jacket’s crimson stain, yet blood doesn’t lie. When the victim leaves damning evidence behind, fate throws Kathryn into a cascade of events that will challenge her survival skills. Mathew McAllister is the eldest of six siblings, all current or former detectives. Practical jokes and pranks are part and parcel of his daily life. The newest addition to the family fold is a wisecracking hacker who mangles his strained equanimity and tests his patience in Morse code, security breaches, and invasion of his cherished privacy. When a vicious murder paints a target on one of their own, the McAllisters close ranks to ferret out the twisted intentions of a serial killer. For fans of Sandra Brown and Lee Child, Shattered Reflections is an exciting thriller with a romantic twist. 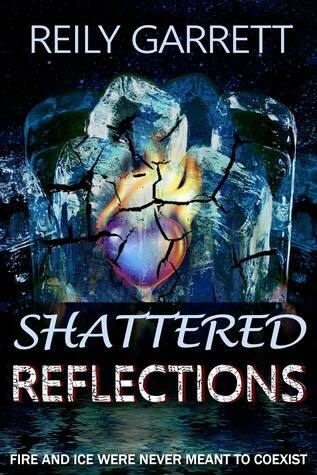 Shattered Reflections is the fifth book in the McAllister Justice series By Reily Garrett. Each book can be read as standalone but I do recommend reading the series, if not before but after. But, I will say if you want the beginning of Katt and Matt’s story I would read Carbon Replacements. I have read the series, Carbon just last week and I knew their story was going to be something else. The banter between these two is pretty funny. I don’t want to spoil the story so I will make this fast. Katt has a new case. Something about her new client isn’t right. He is hiding something and she intends to find out what it is. Matt doesn’t want her anywhere near this case. She is too young and inexperienced. She is also determined and is stubborn as hell so he knows she won’t walk away from it. So, he won’t let her out of his sight. She is new to his tight-knit family and they watch out for their own. The McAllister way. Matt and Katt’s relationship is complicated. She wants him but he sees her as only a kid. He wants her but thinks she deserves someone younger and maybe less grouchy. She is almost twenty-two and he just passed his dirty thirty. The attraction is there. Everyone sees it. Feels it. Can he get over the age difference before it’s too late? Overall…This is definitely a thriller with a twist. Someone is after her. And in the middle of it all there is a love story. I thought it was a perfect blend of it all. I had to know what was going to happen next. I loved the characters even when I wanted to slap them. I don’t know what is up next for the McAllisters but I am excited to find out. The kid was going to be the death of him. Silent pain she covered with false bravado ripped another layer off his heart.